Tammy is stunning! I love that one the most, but Strength is also really gorgeous. Love, love, love Strength--thanks for posting it! 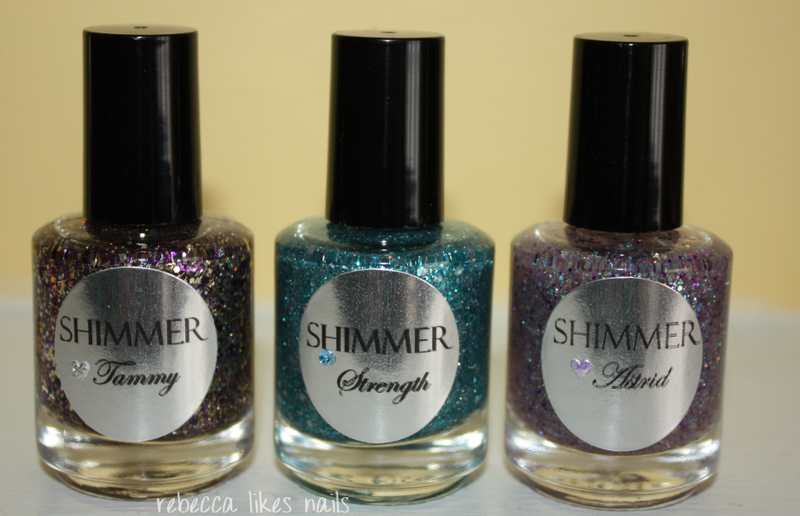 Shimmers are like crack, but in a good way. These are so cute! I love how small the glitters are and how dense! Tammy is so beautiful! And Astrid reminds me of fairies, not becaues of the name but because of the gorgeous glitter! Tammy over Vice is incredible! I couldn't stop looking at it, so gorgeous!